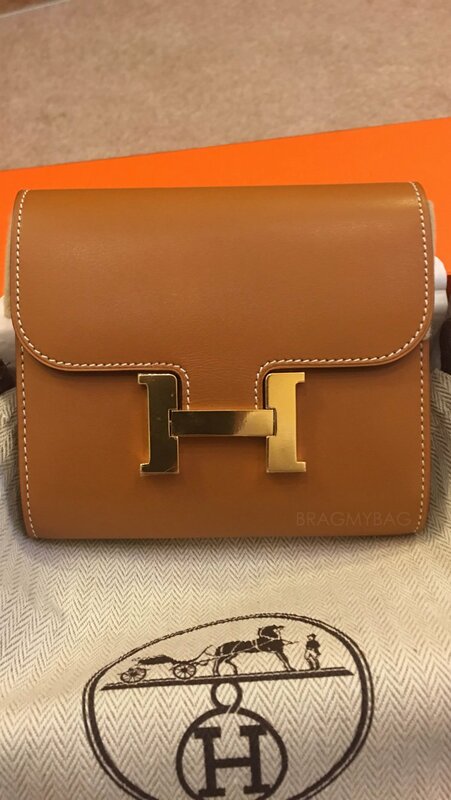 Hermes Fortunio clutch is not really a new bag because this latest edition is just a re-release version of the design of the 1930s. Hermes Fortunio clutch with poppy orange color in Evercolor skin color and finish with Palladium silver plated clasp. The most prominent features of this clutch bag will buckle V is unique in the Center, which acts as the security key. Hermes Fortunio clutch Silver buckle quilted palladium V opened and closed while rotating left and right angles. You will notice that there are two holes in the flap and buckle V placed in front of this hole to tie it securely. 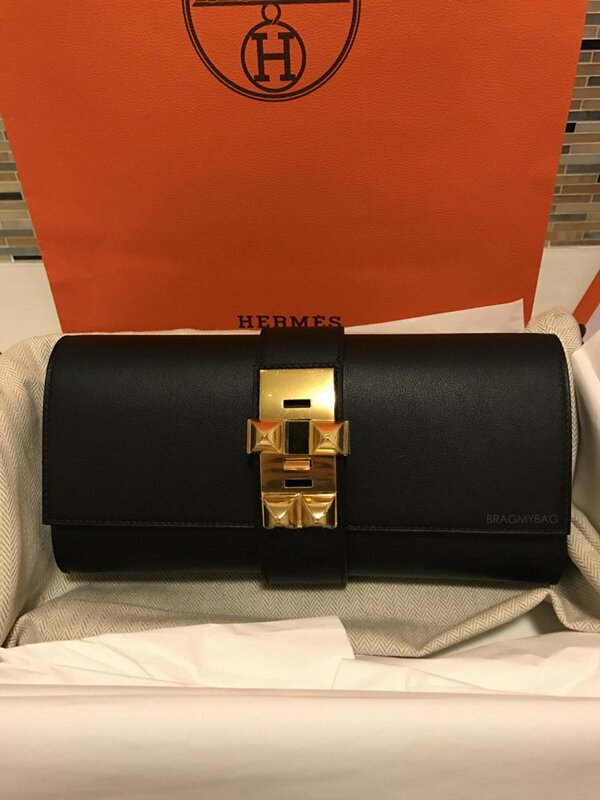 Hermes Medor Pochette 23 Clutch in Noir and Veau Swift. You'd think bag lovers would be easy to shop for, but that's often not the case. 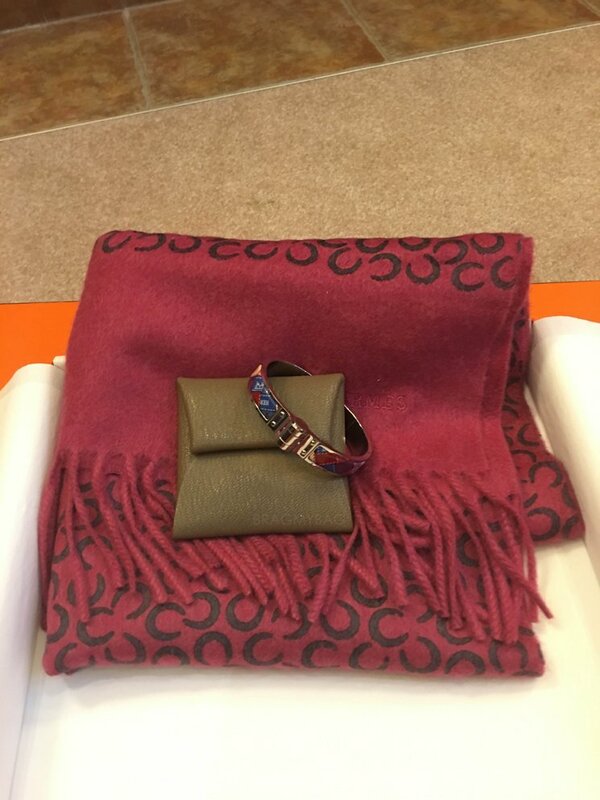 An interest in designer accessories often brings one to the point of obsession with rarities, discontinued styles or colors, limited editions and exotics, and finding just the right piece to satisfy that kind of wish list can be tricky and time-consuming. If that describes either you or a very lucky person on your holiday shopping list, your best opportunity to pick up a dream handbag has arrived: the Christie's Handbags & Accessories December Online Auction. At Christie's latest sale, you can choose from an expertly curated selection of hard-to-find pre-owned bags, accessories and small leather goods in excellent condition from brands like Hermès, Chanel, Louis Vuitton, Bulgari, Gucci and beyond. That includes a dazzling array of exotic bags in materials like crocodile and alligator, especially from Hermès, which are often difficult (if not impossible) to source at regular retail unless you have built up a reputation with the brand as a loyal client. At Christie's, not only do you get to skip the line, but you get to skip the time- and cost-intensive process of getting into it. You can simply shop the storied auction house's impressive selection and bid on the bags of your choosing. You don't necessarily have to be in the market for an ultra-rare bag in order to find something for yourself or a loved one at Christie's latest auction, though. 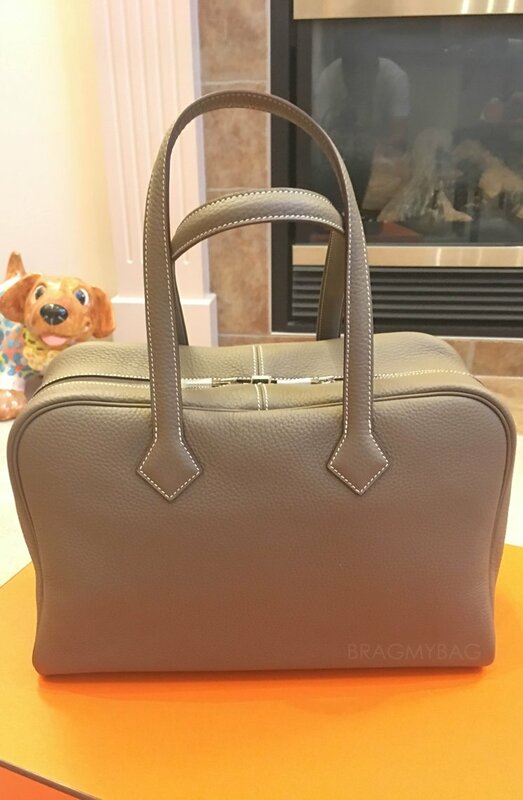 The selection also includes numerous day bags in traditional leathers from the world's best accessories brands, many in neutral shades that would be perfect for year-round use or a range of bright colors that would be the perfect seasonal wardrobe complement. There are surprising values to be had, in addition to the once-in-a-lifetime dream bags. The Christie's Handbags & Accessories December Online Auction runs through December 13 at Christie's website, and if you're in New York, you can preview the available pieces at the auction house's Rockefeller Center galleries through December 12. We've chosen some of our favorite Hermès bags from the auction to highlight below, but you can peruse the entire selection via Christie's now. The Hermes Constance Compact Wallet is difficult to get, it’s as difficult as the Constance Bag. 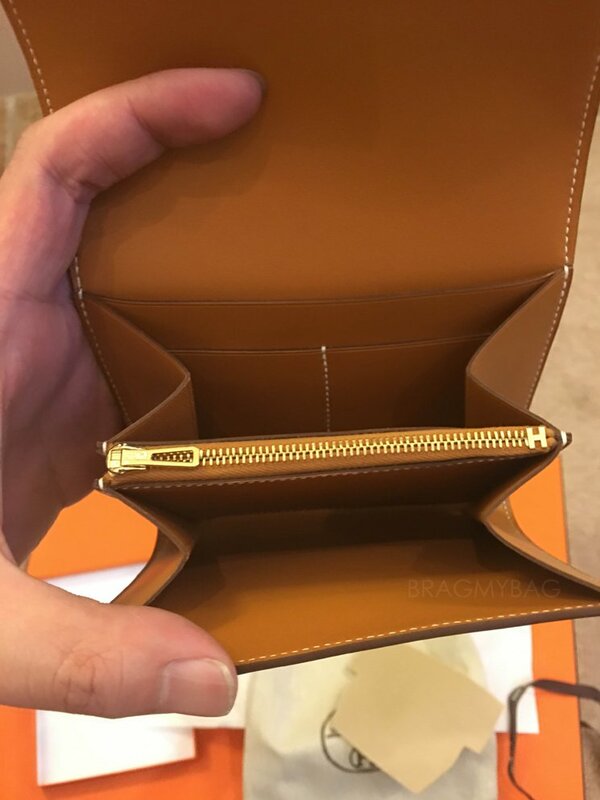 This wallet was made available for James after a customer changed her mind. The Hermes Constance Compact Wallet is made in Bulter Leather with golden hardware. This leather is very soft and delicate, the quality is great. To give you an estimation, it’s very close to the Barenia Leather but softer. Thank you James for your contribution. Yes, it’s not in the TGM size, which means extra large. Do you love extra large wallets? If you are carrying a medium size bag or larger, I’d say; why not carry a bigger wallet? You can get things more organized and you have the right bag to slip it in. The Hermes Azap TGM Wallet is everything you need – minimalistic design, crafted from Epsom Calfskin and refined in palladium plated zipper closure. The interior is made with 10 credit card slots, 4 additional pockets, billfold pocket and change purse with zipper. And it’s available in many colors, so pick your favorite one (or ones!). Just a hint: Christmas is coming up or you can choose for an early Christmas gift, because you deserve it. Measuring 9.1’ x 6.3’ inches, priced at $3975 USD via Hermes boutiques.